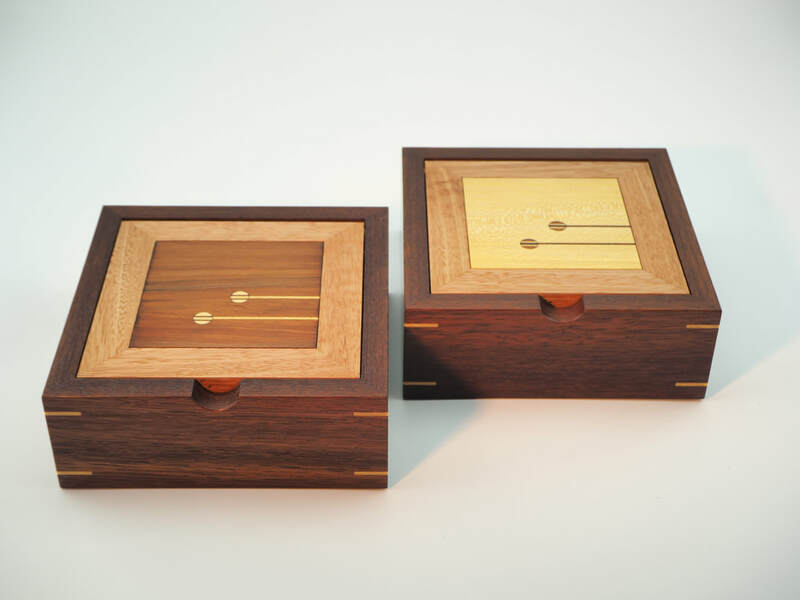 These boxes have sides of Jarrah and lids framed in Saligna. The contrasting lid panels are made from Totara and Lacebark. 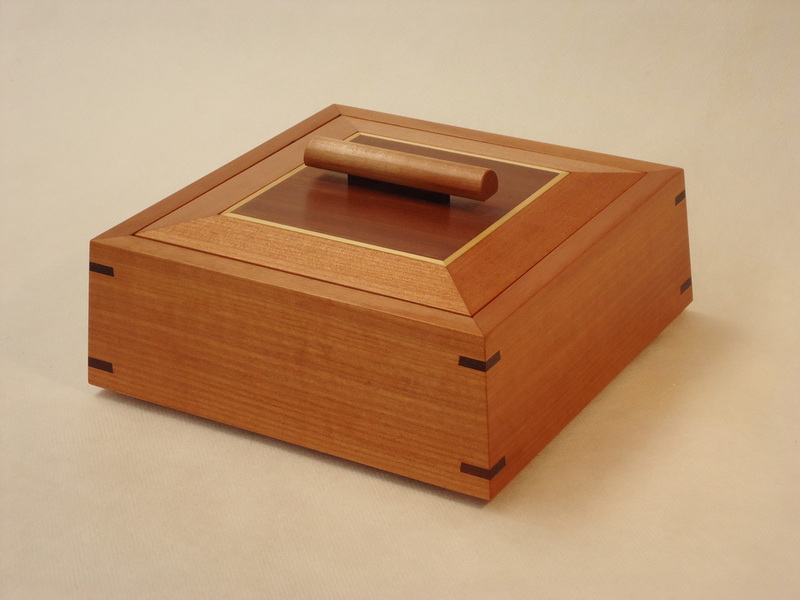 A box made with sloping sides of Jarrah and a contrasting lid of Jarrah and Saligna (both Eucalypts). The corner keys are made with layers of Jarrah and Poplar. 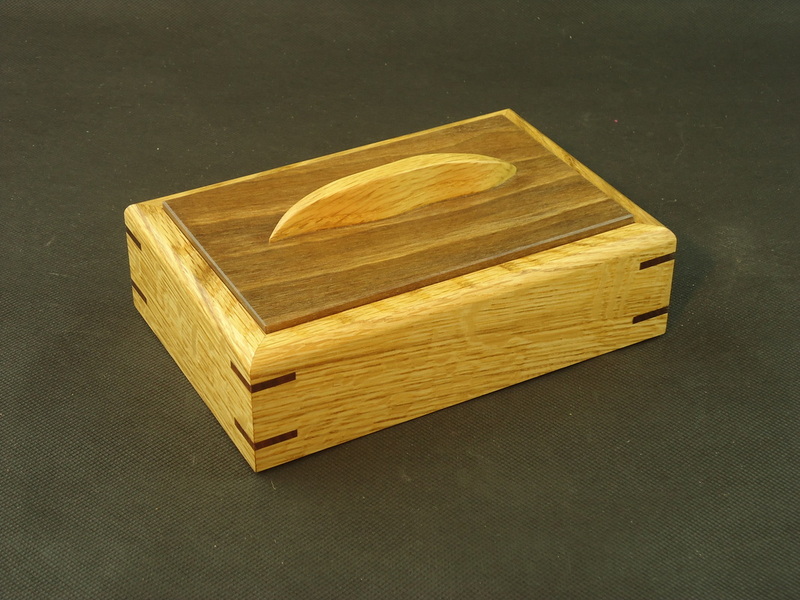 This box is made from some beautiful native New Zealand timbers. Forty-eight separate pieces of wood combine to make this Ziggurat Box. Recycled Rimu, Kauri, Totara and Lacebark with accents of Jarrah. Finely finished with Danish Oil and polished with Beeswax. A small box for precious things. It is made from New Zealand-grown Oak and Walnut with inlaid keys of Jarrah and a sculpted Oak handle. Finely finished with natural oil and wax. 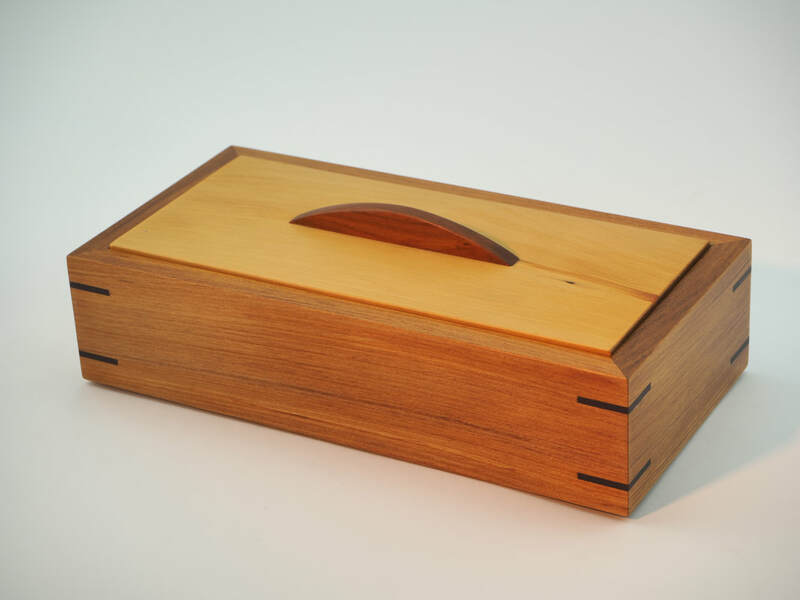 A treasure box with Far Eastern influences made from native New Zealand Red Beech with Jarrah (rescued from the Christchurch rebuild) and Yellow Cedar. 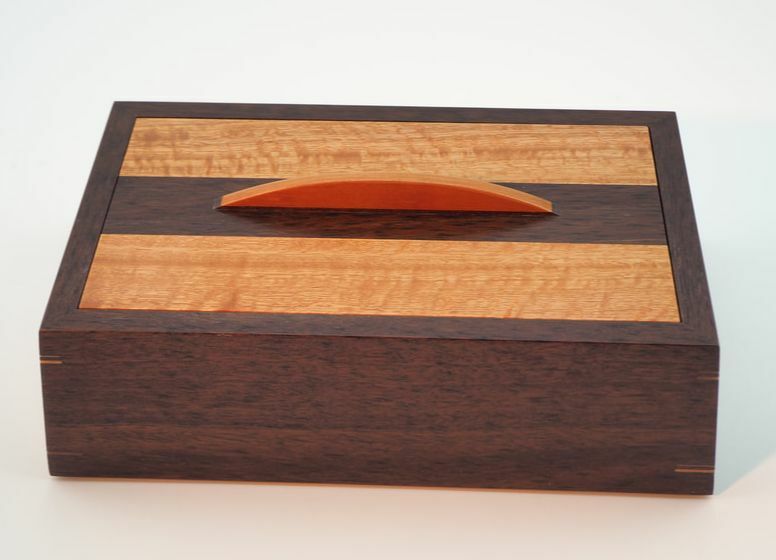 A treasure or desk box in Rimu and Matai with corner inlays of Jarrah. The handle is shaped from Plum.